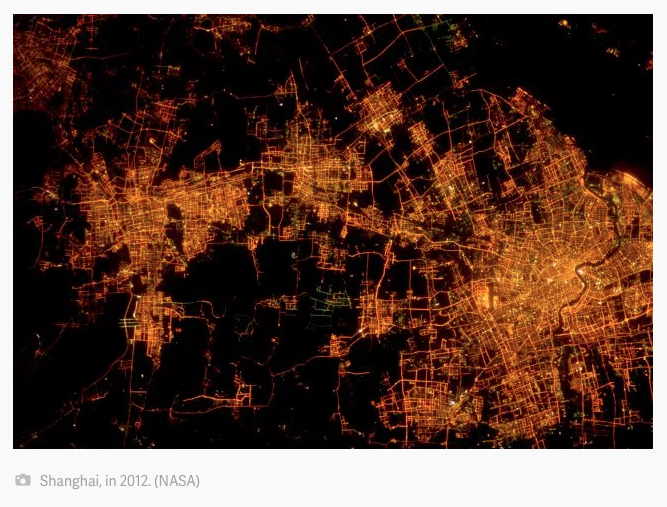 After a quick look, one of the examples in the recent Quartz article "Can you recognize the world’s most famous cities from space?" (HT Ray Kwong) didn't appear to be a city familiar to me. So I was surprised when I saw it was labeled as Shanghai. After a closer look I quickly found the distinctively shaped Huangpu River which flows through Shanghai, but it was in an unexpected location on the far right side. Had this been a photo of only Shanghai, I feel confident I would have easily identified it. But this photo captures quite a bit more than a large part of Shanghai. 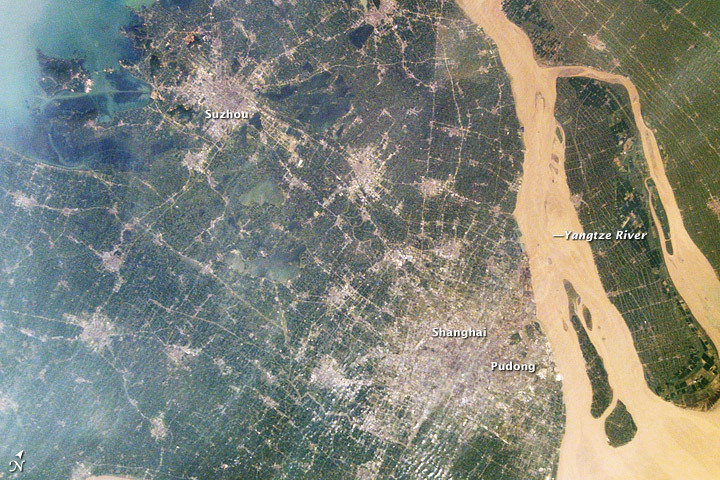 Approximately the entire left half is actually Suzhou — a neighboring city in Jiangsu province. Labeling the photo as "Shanghai" is plainly incorrect. I later sorted out that the photo, taken by an astronaut from the International Space Station in 2012, was originally posted on NASA's Earth Observatory website. The post includes another version with labels marking both Suzhou and Shanghai. The post also includes a photo taken from a similar vantage point during the day in 2002. Another photo in the Quartz piece includes two cites as well — Antwerp and Brussels. In that case both cities are identified. The Brussels metropolitan area has over 2 million people and Antwerp just over 500,000. 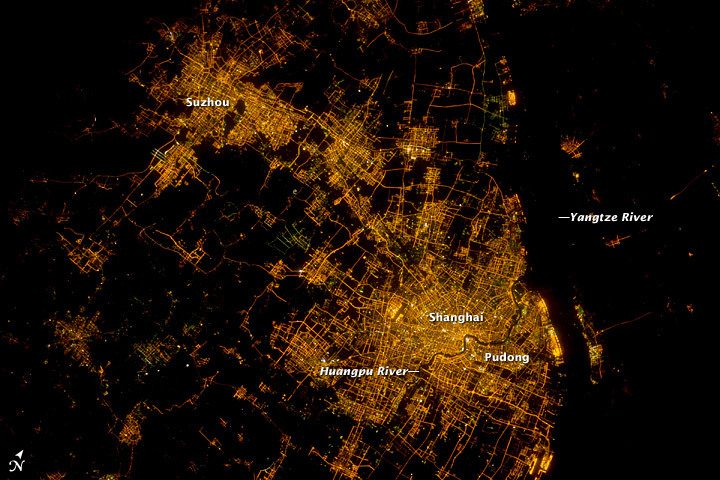 Suzhou is one of China's most prosperous cities, has its own subway system, and the entire prefecture-level city has a population of over 10 million people. Good noodles too. So please, don't ignore Suzhou.